Summer is fast approaching, and all the little people will soon be out of school. Whether you have preschoolers or elementary students off for the summer vacation, what will you do to fill those long and tedious days. Of course, every kid looks forward to getting out of school for a couple months, but the anticipation is much more pleasant than the reality of day after day with nothing to fill the hours. Why not spend some time teaching your little people their way around the kitchen? Kids love to ‘cook’ with mom and there are quite a few easy recipes Cinnamon Spice and Everything Nice suggest for children. When Is Cooking Not Cooking? The funny thing about the term ‘cooking’ is that we aren’t always referring to something actually cooked or baked. How many times do you tell the family that you are cooking dinner when actually you are making tuna sandwiches to be served with chips? We use the term loosely instead of the more properly descriptive ‘preparing dinner,’ and so kids will think they are cooking even when no heat is used! However, even when you must use the stove or oven, there are prep or garnish steps which kids can help with at no danger to them. Have you ever noticed how much fun kids have dumping things out? Just leave your shampoo on the side of the tub during bath time one night and see how quickly your little ones will pour it all into the tub with them. They will then proceed to splash around until bubbles are formed. Then there is the sand pail at the beach. Most kids will work diligently to fill it up, only to dump it out and start all over again. If you pre-measure your ingredients when baking a cake, for instance, let the little ones pour the ingredients into the bowl as you need them. Not only will they believe they are ‘cooking’ but they will begin to develop stronger motor skills as well. It does take coordination to hit the bowl after all! Kids also like to get that hands-on experience. It is one of the most effective ways they learn. One night, make meatballs and let the kids form the balls after you’ve mixed all the ingredients. Did you know that this can also be a lesson in personal hygiene? By teaching them the 20-second rule of handwashing before working with food and, of course, after as well, you are teaching them one of life’s most important lessons. So many germs are spread by contact that it is a good idea to teach kids early on the importance of scrubbing away those invisible creatures! Don’t forget, when you make sugar cookies, let the kids do the shape cutting while you put them on the cookie sheet and into the oven. It’s loads of fun without letting them anywhere near that dangerously hot oven. 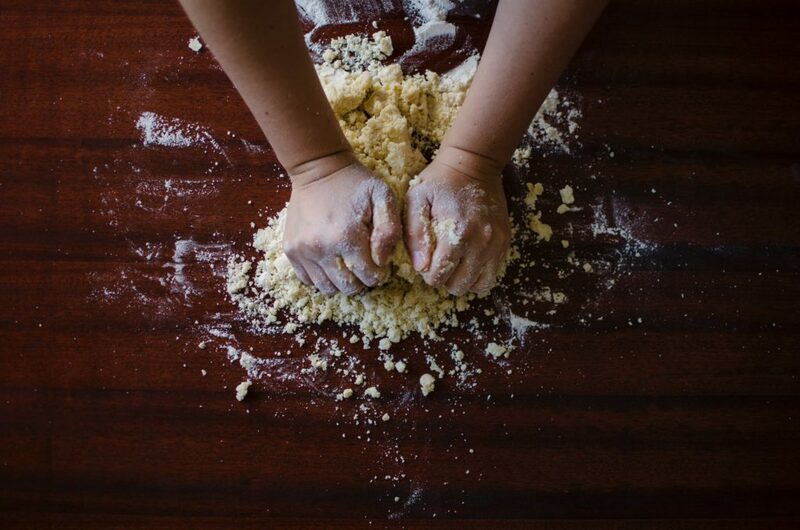 From shaping to ‘cutting’ to the frosting, there are many ways kids can help you cook while learning some of life’s most valuable lessons. Spending time with mom in the kitchen is the best part of all! See for yourself. The fact that over a third of American children are obese should concern any parent. While some of these children have unhealthy weight through no fault of their, either through the hand dealt to them by genetics or congenital medical conditions, for many it boils down to the diet. It should concern parents since they have an important role in deciding what their children eats and inculcating in them healthy eating habits. While the health risks associated with obesity are not as severe in children as they are in adults, obesity still poses health problems for children in both the short term and the long term. Obese children may have breathing problems which hinders their ability to participate in physical activities expected of their age and this can later develop into asthma. This can also manifest itself as sleep apnea which heightens ones risk of suffering a stroke or a heart attack as they grow older. In the short term, excess weight can cause a child to have self-esteem issues and joint problems since their skeletal structure isn’t as developed to handle their body weight. Furthermore, obese children are at risk of developing diabetes and heart disease in addition to growing up to be obese or overweight adults. Some of the well-known effects of obesity in adolescence and adulthood include reproductive problems where there is early or delayed puberty and sexual health issues. Kids learn from the examples of their parents, not their words. Your child is unlikely to eat healthy if the parent is a junk food aficionado. This starts with the kinds of food you have and prepare in your house. It’s hard for your child to eat healthy if your refrigerator is filled with unhealthy processed and junk foods. Clean your house of unhealthy foods and replace them with healthy organic alternatives. With less temptations your child is likely to start eating healthy. Make it a family goal to eat and live healthy. Visit Easy-Diabetic-Recipes.Com for healthy recipes. The second aspect of healthy eating lies in the quantity. Actually, this is the easiest way to maintain a healthy weight but also the hardest to master. To help them control their quantities, encourage your child to drink plenty of water during the day and snack on fruits which make them feel full faster and stay that way for longer. 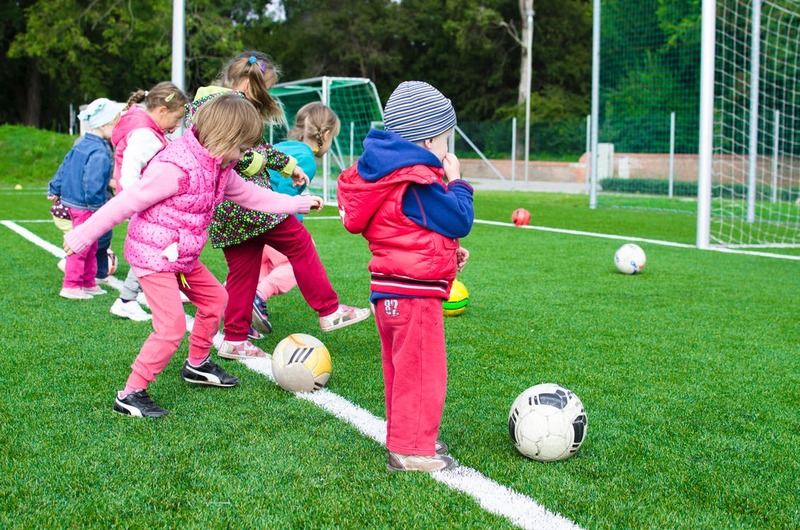 Ensure your child participates in physical activities to help them lose weight and stay fit. 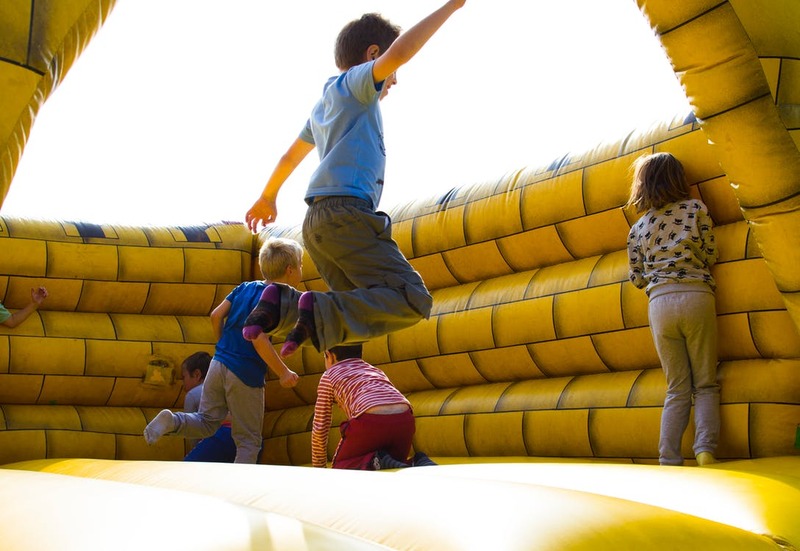 This can be fun activities like gym sessions at school, swimming or biking. Household chores and gardening are also great ways to keep your child active. You can even be exercising together as a family. You can easily achieve this by minimizing the passive activities your child engages in like watching TV or spending countless hours on their phones. If you are looking for some arts and crafts ideas, you may want to consider making origami. Here are ways on how you can make it easy for your kids to learn origami with these simple and easy to follow tips. One of the best parts about making origami art is that all is required is a piece of paper. You will not need to purchase any expensive paper from an arts and crafts store. Any paper you have on hand can be used effectively and put you on the path to creating some unique and fun origami art. The more paper you have the better, as you will have more than enough material to try out different designs. Before your child begins making origami, make sure you start them off with something easy to make. Origami folds differ in their levels of difficulty. It is better to start off with an easy to follow design. That way, your child can get the hang of how to do it. It can be easy to get carried away and try and make a design completely out of your depth. If your child is struggling, make sure to let them know that practice makes perfect and give them as much motivation as you can. Children are not known for their patience or neatness, however, keeping inside the lines when creating origami will help create the best pattern possible. One of the main tips when creating origami is to focus on folding precisely and neatly, as opposed to trying to quickly get to the end of the instructions. When you are folding, the instructions can become confusing, but it is important to remember that each instruction needs to be followed carefully to finish with a good outcome. Also, staying consistent and motivated is a key trait to helping your child stay on track and finish a task. Another great reason to let your child have a go at origami is giving them the freedom to create whatever they desire. Opening their imagination and putting all their thoughts and ideas onto paper can be a wonderful way to physically express their feelings. Being imaginative and thinking outside the box can enable your child to create a unique origami pattern. The main thing to remember about origami is that it is just paper. If your child falls at the first hurdle, make sure to reassure them and let them know that there is plenty more paper and they can have another go. 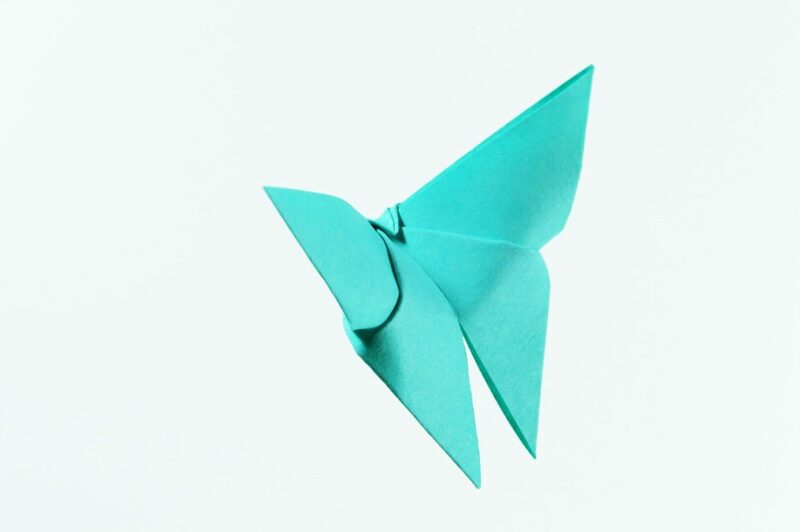 It can be easy to lose motivation at the beginning, but if your child stays focused and determined, they can end up creating some fantastic origami. Websites like origamiway.com will provide you with more details on the diverse designs and patterns that you can make. Learning and making distinctive designs and shapes out of origami should be a fun and exciting experience for your child. If your child is struggling with making a certain design, make sure to be on hand for support should your child need any assistance. Pacifiers can sometimes be helpful in calming down a restless baby. The sucking provides comfort and soothes them. Pacifiers are not only handy in stopping babies from being fussy, but also provide temporary distraction or help them fall asleep faster. Having a pacifier can save you, and your baby, from a lot of pain. 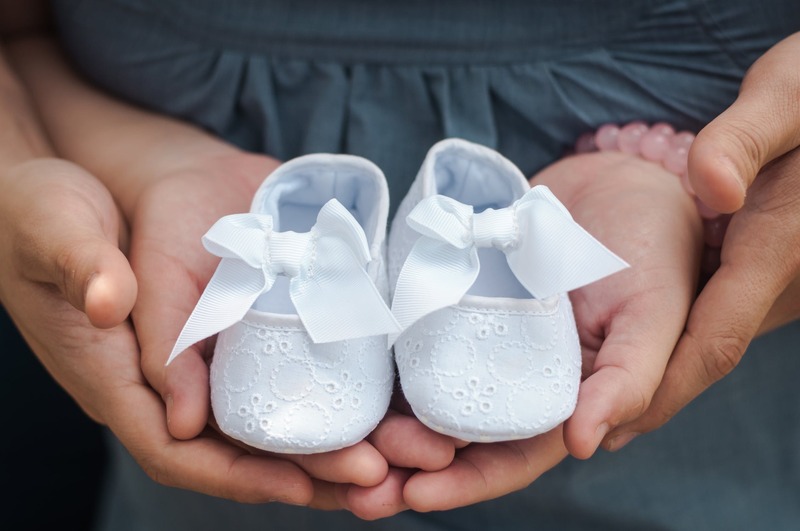 However, they can also harm your baby, for example, causing misalignment of teeth and increasing their risk of suffering from infections to the middle ear. Latex pacifiers are preferred to silicone ones as they are softer and more flexible. However, most babies are said to suffer from latex allergy arising mostly from vaccinations. The allergy could lead to rashes, or even worse, asthma and shock. The softness of the latex pacifier also makes it easily chewable and can cause serious health issues when ingested. Silicone pacifiers are recommended because they are stronger, more durable and silicone allergies are not as common as latex allergies. Some babies are however allergic to silicone and any exposure, however minimal, can trigger a reaction. Silicone allergies are characterised by watery eyes, rashes, labored breath and in the worst cases, shock. Oral bacteria thrive in sugary environments and therefore can cause harm to the baby’s gums and teeth which are still developing. 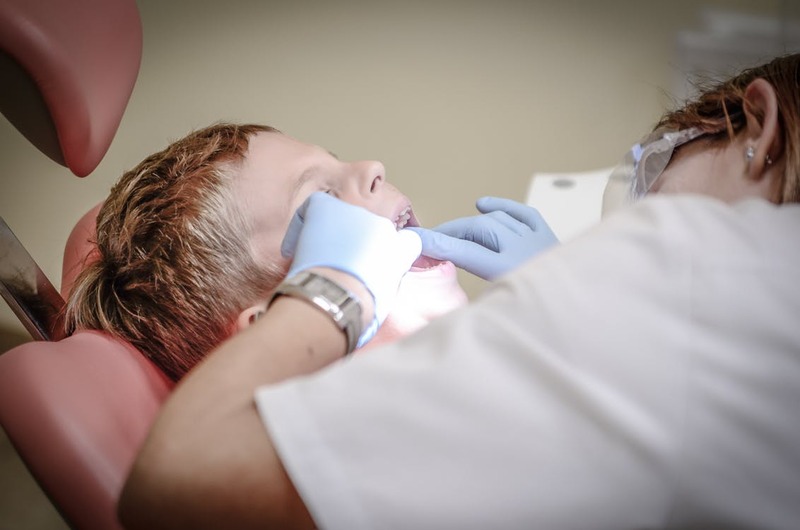 The bacteria release acids that cause decay and childhood cavities. Honey is also known to contain a chemical that can lead to food poisoning and should never be given to children under the age of two. Pacifiers, being constantly in contact with saliva and oral bacteria, can be an avenue for the growth, contamination and transmission of bacterial organisms. Given that most parents just wash and dry the pacifiers instead of disinfecting them, pacifiers can cause dental caries, intestinal parasitic infections, candidiasis and infection to the middle ear. Use of tap water to clean the pacifier has also been linked to bacteria that cause dental caries. While cleaning a pacifier in your mouth can help pass good bacteria to your baby, there are also risks of transmitting harmful bacteria to them. Frequent use of the pacifier can turn into a habit such that the baby cannot do it anything, including fall asleep, without it. This can interrupt the baby’s sleep, and yours, when it falls off in the course of the night. 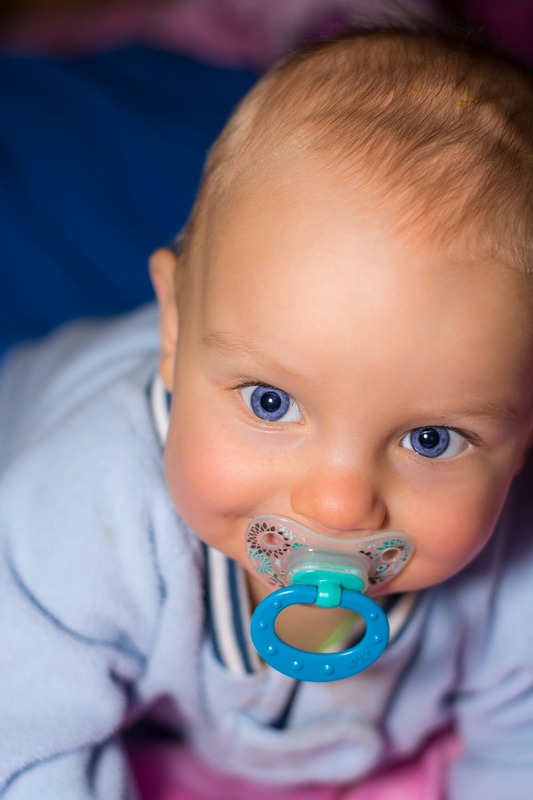 Addiction to the pacifier could also delay the baby’s speech development. As the baby gets older, consider restricting the use of a pacifier to bedtime only until you get them completely off it. Momcrib.Com recommends finding other ways of calming the baby down. It is inevitable that the baby will swallow air when feeding and have the need to pass gas. However, frequent and vigorous sucking on the pacifier could also cause gas problems. If the gas builds up, it may cause stomach acid reflux or abdominal pains which make the baby uncomfortable. When they cry due to the discomfort, giving them a pacifier further worsens their discomfort. No parent is perfect, and when your child is consistently showing an inability to share, aggression towards others or other forms of bad behaviour, it can be difficult not to blame yourself or know what to do. It’s important to note that all children go through phases of bad behaviour as they grow and develop, and these are perfect opportunities to work on teaching your child how to play nicely. Instead of punishing your child every time they act out, which could lead to further tantrums and bad behaviour, try instead creating a ‘chill-out zone’ where they can go to cool off and collect themselves. Encourage them to think about their behaviour and what they could have done instead to improve. This helps your child to learn self-calming skills, as well as giving them the opportunity to reflect upon their behaviour. Children see and copy everything, so if you want your child to play nicely with other kids, you’ll need to start setting a good example yourself. This isn’t to say you have to be perfect all the time, but try to make a concerted effort to display to your child how you overcome disagreements with your partner for example, or how you can stay calm even when you’re arguing. If you do mess up and end up getting angry or aggressive, remember to talk to your child about it and point out where you went wrong. Try reading to your child from books that encourage good behaviour, sharing, kindness and empathy. There are plenty of kids’ books geared towards encouraging nice play, such as ‘Why Should I Listen’ and ‘How To Be a Friend’. Reading these books before bedtime is a great way to calm your child down, ready them for sleep and teach them some life skills. Studies have also shown that we are more likely to remember concepts we learn before going to sleep, so making it a bedtime routine can help good behaviour to stick. An easy and fun way to encourage friendly productive play in your children is to incorporate it into an art session. For younger kids this might mean bringing out the finger painting kits and making a picture of them playing nicely. For slightly older kids, try using an online comic creator such as Rage Maker, to make a fun and silly comic addressing how to resolve conflict effectively. Parenting is never easy, and we all struggle sometimes. Searching online for a little help and guidance now and again can provide you with some tips and reassurance and will also make you realize that you are not alone. Children and young people have always delighted in creating their own languages and finding ways of communicating that their parents don’t understand. In the fifties, teenagers would say “razz my berries” knowing their folks wouldn’t have a clue it meant getting interested or excited about something and confusing your elders is still seen as an essential skill by many young people. In the modern world of constant communication and social media influence, these slang terms catch on and spread seemingly overnight, but they also come and go far more quickly too. Why do kids like using slang? As children grow up, they form their own social groups and networks, and being able to share a language no-one outside the group understands can make them feel a part of something special and different. Young people grow away from the dependent relationships they have as young children and are likely to go through a phase of seeing their elders as something of a hindrance interfering with their freedoms. If you can communicate with your peers without adults understanding what you’ve said, it makes you feel clever and reinforces the idea that your elders are stupid and don’t understand you. This pulling away from the parents is a normal stage of development and will usually pass as the child matures. How can you get to grips with your kids’ language? It can be very frustrating for parents when they don’t understand what their child is saying, and this can lead to conflict. Your child will probably be thrilled that this is winding you up, but try and stay calm and remind yourself it’s just a developmental stage. If you want to get to grips with the slang terms that are doing the rounds, a quick internet search should provide you with some definitions. You can also see what’s happening with trends in slang by going to a website like lolhit.com that analyzes the use of slang terms and catchphrases. It is a good idea to know what current slang terms mean, just in case your child is using offensive or unpleasant references, so you can step in and dissuade them from saying anything unsavory. There’s a temptation to want to use the same language as your kids when you’ve found out what their slang terms mean, but it’s best to resist. If your kids know you understand them, they’ll simply find or invent new ways of communicating that baffle you anew. They will not be impressed by your new-found knowledge either, and parents who start using the same slang terms as their kids are generally seen as being very uncool indeed. Try not to worry about the slang your child is using, as there is little you can do to stop them and any efforts to do so are likely to be met with resistance. That’s not to say you shouldn’t maintain standards of communication at appropriate times, such as social occasions and family mealtimes, just don’t get too hung up on the way they speak with their friends. In general, it’s best to stop sweating the small stuff and try and stay frosty, hang loose and chillax.